Captivating rectangular coffee table made of jelutong wood. 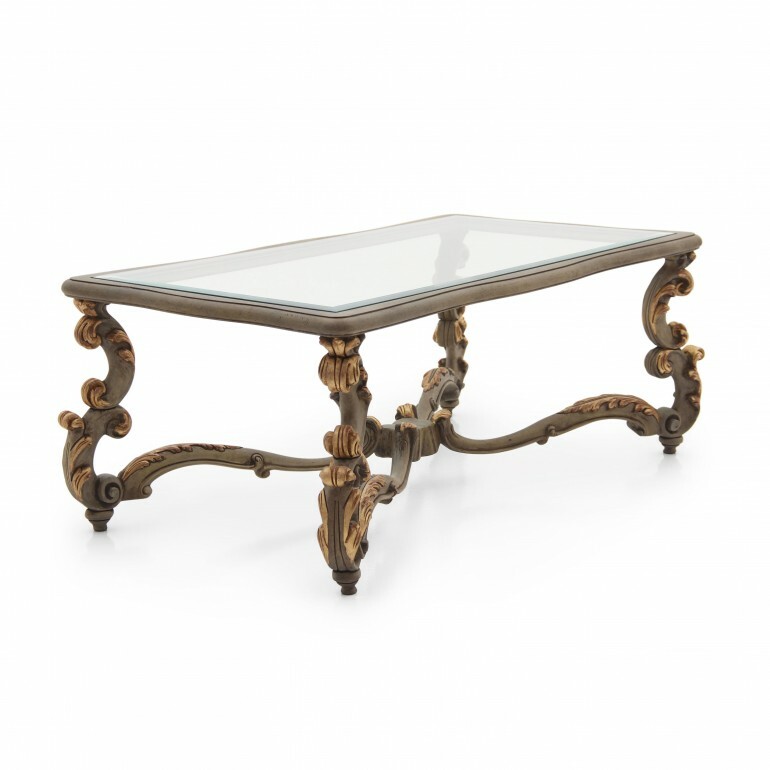 The elaborate design of the structure is a distinguishing feature of this product, which thanks to the glass top has rapidly become one of our best-sellers. 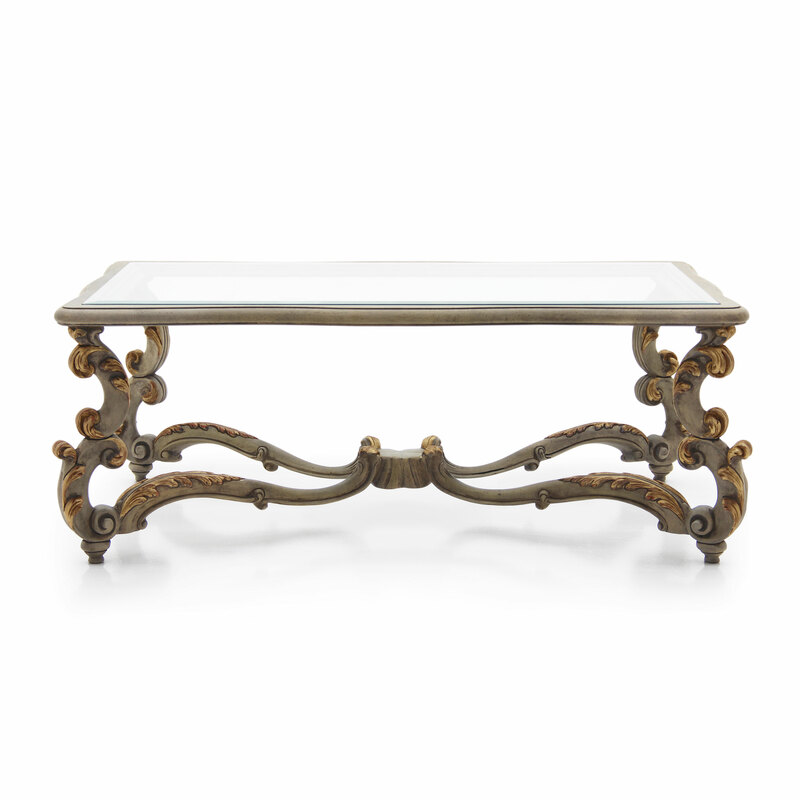 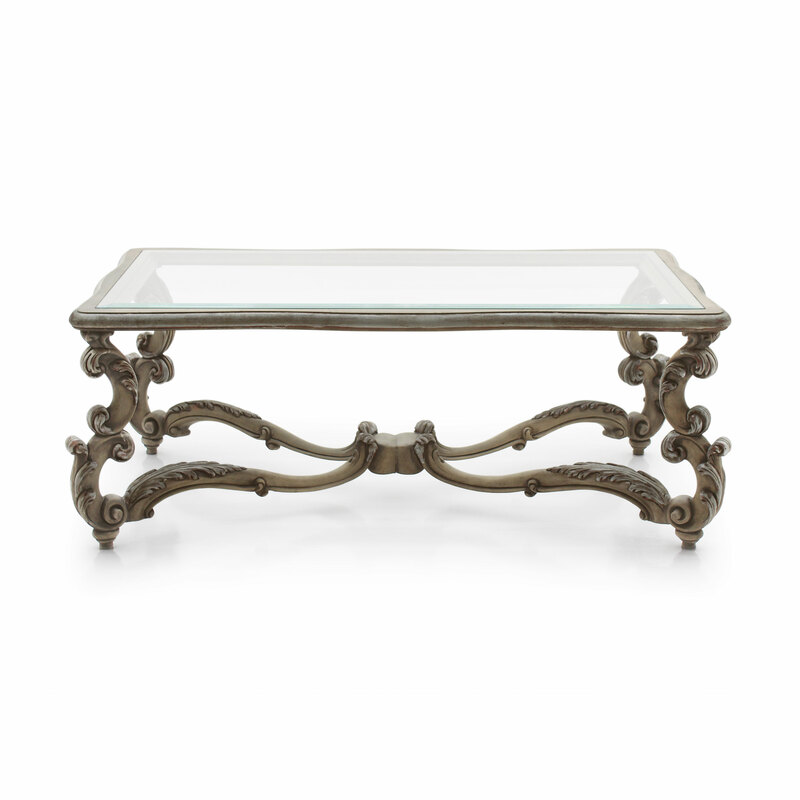 It features many carved details that can be enhanced with a silver or gold leaf lacquer finish.